As an executive coach, I am always seeking new ways in which I can support my clients to look at problems from a fresh perspective. Recently, I have become very interested in the role of language as a tool for problem solving. We live in a world that relies heavily on linguistic reasoning and to a lesser degree numerical reasoning when generally we approach problems in life and at work, unless of course the problem is one which naturally requires a particular emphasis (e.g. chemical analysis or complex mathematics). Often, we find ourselves evaluating pros and cons, making lists and weighing-up options using words and relying very much on our rational minds. This is typical of the ‘left-brain world’ we live in, which emphasises analytical thought and reductionist reasoning based on language. This approach to problem solving is indeed fundamental and lies at the core of effective decision making, however it is not the full picture. The limitation of language is that it reduces the unique qualities of everything to the same set of terms. We can only describe one thing in relation to something else or by relying on the listener/reader having experienced that thing themselves. There is a danger then that predominantly linguistic reasoning can limit us in the way we problem solve, particularly if we are looking for new ideas. Problem solving requires creativity and to rely purely on linguistic reasoning can block this creativity. Indeed, commenting on the biases in our schooling system, the prominent educationalist Ken Robinson noted that “intelligence can show itself in ways that have little or nothing to do with numbers and words”. An overemphasis on linguistic reasoning could also cause our thoughts to become entangled with our emotions, particularly when dealing with difficult issues, with thoughts feeding emotions and vice versa. I call these ‘cognitive loops’ – situations where we keep going around and around in circles in our heads, often feeling stuck or blocked. As a coach, it is one of the commonest phenomenons that I have come across. For example, reflecting on a project you are working on might induce feelings of frustration, which in turn fuel further frustration-led thoughts about the project that generate even more frustration and so on. The origin of the loop, whether thought or feeling, is somewhat secondary and often difficult to disentangle. What is more important is recognising that it is going on. Only through such an awareness can we hope to cut through it. 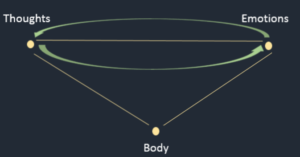 Connecting to the body: Bringing increased awareness to our bodily sensations, particularly if accompanied with some movement (e.g. walking) can be vey effective for unlocking a fresh perspective that is borne out of increased mind-body connection. Connecting to the body can serve two functions here: (i) breaking a cognitive loop by reorienting ourselves and/or (ii) accessing unthought information crucial to the problem. Indeed, cognitive scientists have emphasised in recent years that cognition is embodied – you think with your body not only with your brain. Connecting to the environment: Bringing our awareness to the sounds and happenings of the environment in a casually observant manner can also help break cognitive loops. A variant of this might be simply noticing the sounds in the environment with your eyes closed. This is a typical mindfulness meditation exercise and in addition to helping with getting unstuck, it might also have a calming effect. Using visuals: If you are so inclined, drawing a picture of how you metaphorically visualise the problem (e.g. walking a tightrope), followed by a picture of what you want the resolved problem to look like can help with surfacing a new perspective and perhaps identifying a yet unseen path forward. 3D representation: One of my personal favourites and an approach I have found to be very effective, is mapping out the problem using objects on a table. Mapping is an approach inspired by Bert Hellinger’s constellation work, advanced in recent times by John Wittington. 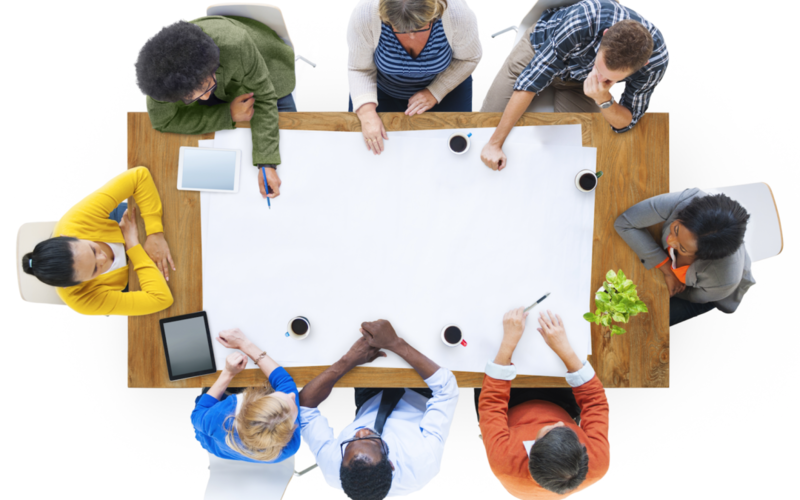 It is particularly useful when dealing with complicated organisational or personal dynamics, where a number of stakeholders and elements are involved. 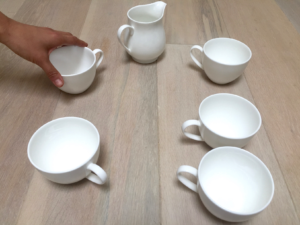 Mapping can be done easily with objects as simple as tea cups found in a meeting room. Pick objects to represent the people and elements involved and pay intention to the distance between the representative objects and the direction of focus of each object as you place them – these will be a rich source of insight. Don’t forget to include a representative object for yourself. So, next time you are feeling stuck or looking to problem solve, try out one of these ideas. I would love to hear about your experiences and what worked and didn’t work for you!